Well. Here we are in Halifax - the West Yorkshire version, not the bright lights of Nova Scotia. There will be a few more trips back to Dorset but after that we (my friend Esther, her husband Ming and their two children Worthing and Didcott) will be established in our new, urban home. Four storeys, no garden - but an allotment. The allotment has already shown up our differences in approach, Esther and me. While Esther was testing how easily the 'weeds' pulled out and wondering whether it would offend anyone if she rolled up and threw away the carpet paths between the raised beds . . . . I was picking a bunch of wild flowers; willow herb and an array of flowering grasses plus some sturdy stalks of plantain and a big fern frond loosely bound with a ribbon of bindweed. Rather romantic, I thought. But what has happened to the book I'm supposed to be reviewing? I had it in my hand while packing. I had all the books I've reviewed so far on one shelf, so I added this to them and packed them all into a box . . . which is yet to be uncovered. Or perhaps they've gone into different boxes. Because I've come across one on pest control which I didn't actually review but it's sort of in the same bracket . . . and think I saw the one about only spending half an hour a day on your allotment floating by but Growing Perfect Vegetables (published by Quarto) is . . . is . . . somewhere. Which means I'm not able to say anything about it except it's probably equally balanced between bright pictures and easy read text and I'm looking forward to finding it so I can be inspired to know when our fruit and veg. will be ripe. Esther has told me to stop looking for stray books because clearing the allotment and getting it ready for next year is our priority and that we will not be growing prickly pears anyway, whatever it says in the book. (She can be a grumpy friend. I hope this shared house lark is going to work!) Meanwhile, her husband has been eyeing up the rubbish scattered about our plot and planning his bonfire. One of the allotment organisers asked what we will be doing with the weeds. I began to explain how we are interested in the way one raised bed has solid ribwort while another has nothing but horse tails. Esther butted in rather abruptly to say we will be pulling them up, piling them up and burning them. It's fortunate the walk between the house and the allotment is only eight minutes because it was rather tense. Esther didn't like any of my ideas - like weeding round the ragwort instead of ripping it out, photographing slugs before disposing of them and maintaining ornamental clumps of wild grasses. I tried to lighten the mood by saying I wasn't sure the book actually says we should grow prickly pears but when to buy them but it didn't work - and I'm not sure it says that anyway. So . . . a bit more fiddling around rifling through packing boxes and making a 600 mile round trip to my old home to read the meters . . . then I'll get out my camera, find that book, start a new blog and persuade you to follow me on my next adventure with the plants no-body (except you and me) notice. 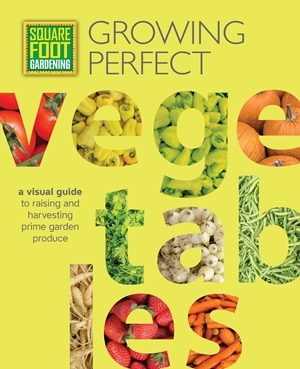 Square Foot Gardening: Growing Perfect Vegetables. Well this is a new development. I am curious as to how this came about - it's sort of out of the blue - and intriguing. Hope you and Esther come to some sort of agreement as to how the allotment will be handled but you will find great enjoyment in it I am sure. It's not really sudden. More that I couldn't quite believe it really was happening. I first visited Halifax in October 2016 and wrote a little about it in a post which is admittedly confusingly, entitled 'Dorset'. So it's been a long time coming then suddenly here! As to how it came about . . . well I suppose it boils down to it being somewhere very different from what I'm used to. I wanted a greater variety in opportunities and culture (and cultures!) than are on offer on the Dorset coast. A new challenge. And it is a challenge. I've got my wish for something different. It's very, very different here! I know Halifax well Lucy - people are very diverse and also very friendly (as are most Yorkshire folk). It was nice to hear from you again after all this time. For a moment there I thought I had missed months' worth of updates from you on your life journey, but I see now that it's a bolt from the blue for us, even if not for you! I do hope you will be very happy Up North. I had a work colleague from Halifax and absolutely loved him and his cheery accent. You will be able to go out and explore the flora of the Pennines as well as the street plants. Lucky you! Hi Lucy, I do remember your post from last fall when you were "considering" a move to Halifax. You did it! It must be like being on an expedition (or "expotition to the North Pole") Good wishes on your new adventure. We'll look forward to your musings in Yorkshire and especially plotting particulars. Lucy, hope you don't miss the warmer climate too much. I know Esther, very funny lady. Well anyway, maybe she could read your meter for you. Hope all goes spiffingly well for you.